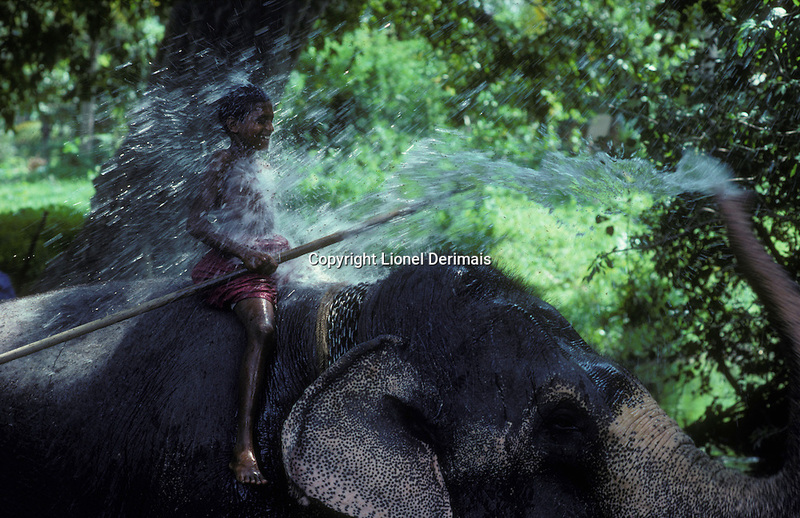 Athulla, 15, learns how to become an elephant-keeper or mahut with Rani a 32 years old female in the Sri Lankan jungle. 1999. Kodachrome. Story shot on assignment for the National Geographic France.